Xcatic peppers, also spelled xcat’ic, are a common pepper used in Merida in the state of Yucatán Mexico. 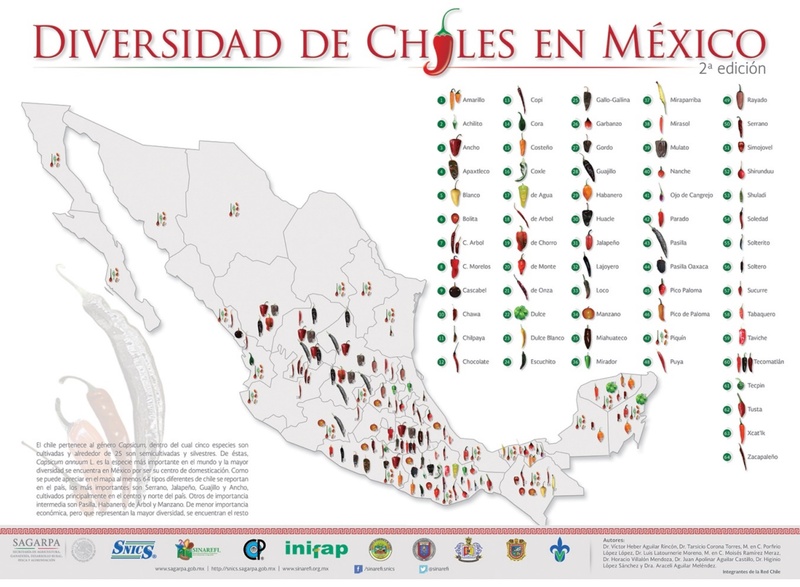 Xcatic, (“long shaped” in Mayan), habanero, and dulce (“sweet” in Spanish) peppers are the three most used peppers in the Yucatán region (Bautista Parra1 S. et. al, 2016) (Figure 2). Xcatic peppers are used to make soups and are also used to make a cream sauce (crema in Spanish) for botanas, which are snacks that are served with drinks at bars in the Mexico. This pepper is roasted and used in sauces for several traditional recipes in Merida, including pollo pibil (marinated chicken), pavo en escabeche (marinated turkey) and pescado en tikin xi (dried fish) (Calerón Santana, J. and Mendicuti Ramos, S. Adventures Mexico). Xcatic peppers should be washed in chlorinated water if they are dirty from contact by soil in the field. Xcatic peppers should be stored under the same conditions as other pepper types: 45°-50° F and 90-95% relative humidity. Table 16: Handling Produce for Higher Quality and Longer Market Life, New England Vegetable Management Guide. SAGARPA, 2016. BOLETÍN INFORMATIVO SEMANAL No.709. Crece demanda internacional de chile xccatic. http://www.tierrafertil.com.mx/crece-demanda-internacional-chile-xcatic/. July 4, 2016, Tierra Fértil. Accessed on January 10, 2016. Canache, Zoila Keb, Interview by F. Mangan at Santiago Market in Merida Mexico, December 30, 2016. Calderón Santana, J., S. Mendicuti Ramos. Yucatecan Cookbook. 30 pages. Adventures Mexico. Cano, Berenice Tutzin and Polanco, Bertha Can. Interview by F. Mangan at retail market in Merida Mexico, January 8, 2017.